Mrs. Vera Biayeibo is the wife of Late Flight Sergeant Oliver Biayeibo an Ijaw indigene of Delta State, who died on the 28th of January this year in active service to the Nigerian Air Force. Narrating how the husband passed on she said; “He complained of being tired during one of his working days on an aircraft, and his commandant ordered him to go and rest, he obeyed the command, not having the slightest knowledge that it was going to be his last day on earth". The family is blessed with two handsome boys and a beautiful girl and they are all in school. Before the demise of her husband she said she was working with a company in Lagos. But she got dismissed before her husband died, and that was when she decided to start a business for herself, which is yielding some little profit for her today, which she has been using to provide for the needs of her children. 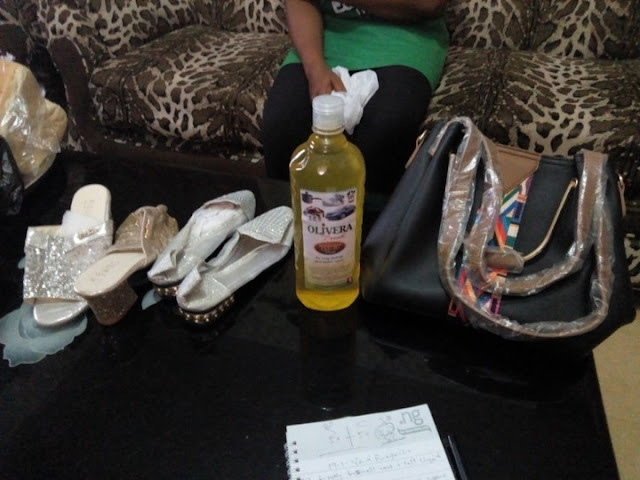 Mrs. Vera is into the production of liquid soap and she sells it around the Airforce Base where she resides, and she also sells shoes and bags too to some of her friends within her locality. 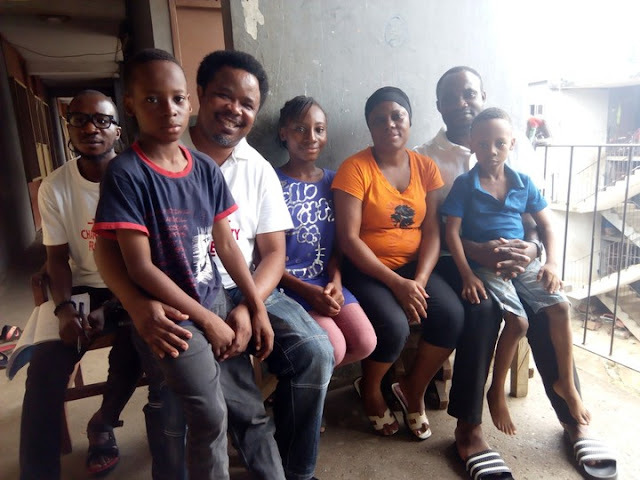 “All thanks to God, I have been able to pay my children’s school fees, just the textbooks is what I am finding difficult to get for them, I have been praying to God to send a helper my way. 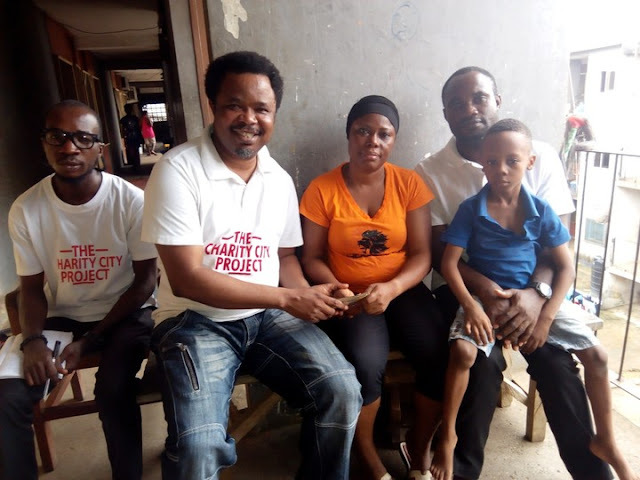 And God has brought you (the Voice of Divine Truth International Outreach) my way and I am very grateful…” – so she said after the International Coordinator, Mr. Gregory Azemobor inquired from her, how she had been coping with the children’s education. Mr. Azemobor admonished her not to throw in the towel to life challenges that everything is going to be alright. And right there, the International Coordinator on behalf of the team presented her the cash donation ₦20,000 to support her business and implore her to use it judiciously to boost her business and take care of her children. Expressing her gratitude to the organization with smiles all over face, she went further to advice other widows out there to look for something to do to take care of their children, rather than involve in the unchaste act. For those who that wish to support Mrs. Vera and her family, she could be reached directly via 08189561221. Beloved, the only reason why we are showing you the videos and pictures of our charitable activities is to practically teach, demonstrate and inspire you to imbibe the message of love for humanity. As you watch and see us help widows who are in need, please be inspired also to do likewise. There are Widows around you, go out of your way to show them the love of God. God will not come down from heaven to that; you should represent His interest here on earth.